A garden is always a work in progress. 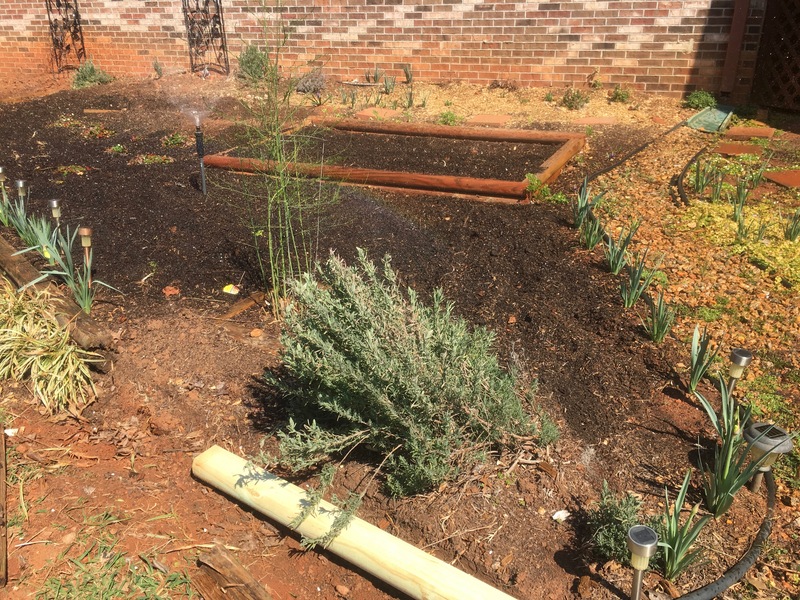 When a border is planted I don’t think about digging it up again and getting dirty separating roots, or that maintenance work might arise in the process. When planting bulbs in the fall, I don’t think much about the weeding and raking that will need to be done in the early spring. After cleaning house on Saturday morning I went to work in the west garden and was a little overwhelmed by the flux and flow of the entirety of what needs doing. It would have been nice to admire the blooming bulbs, but I just saw the work. I zeroed in on the raised bed where I grew artichokes last year. This year I’ve decided that artichokes are like an expensive date. I don’t ever get enough satisfaction to make it worth the effort. I’ve never had success with onions, but I haven’t given up on the romance yet, since I use them daily in the kitchen. I prepared the bed just the way they’re supposed to like it.